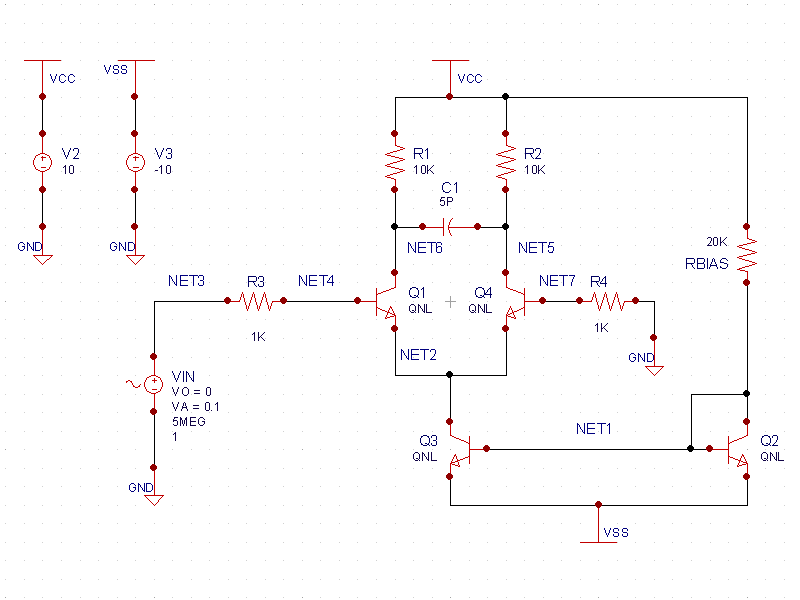 The amplifier design shown in current_mirror_schematic.png uses the bipolar differential pair as the main component in the circuit. Looking at R1=R2 and Q1 and Q4, both arms of the differential pair are symmetrical. 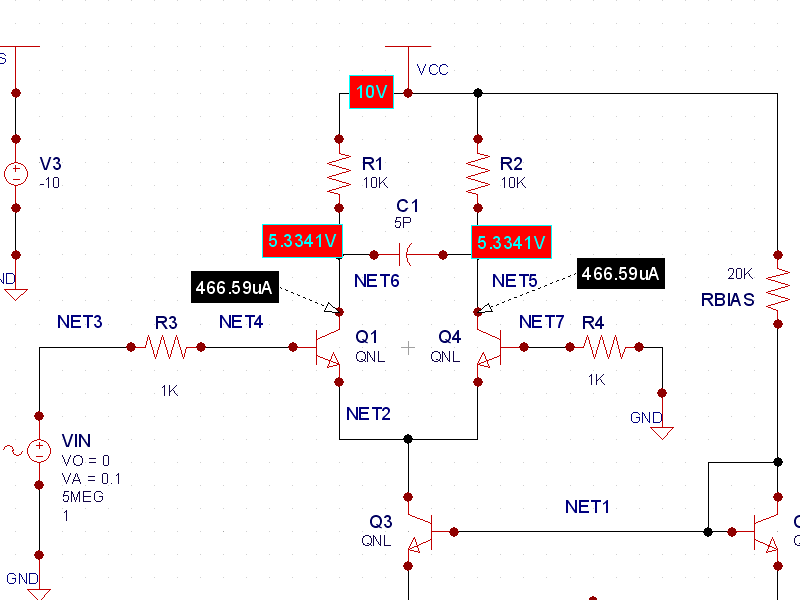 This means that the terminal currents and collector voltages across the pair are equal. Also, these three analyses are to be run twice, once with the QNL model (shown in the control file) and then with a default NPN bipolar model. The statement that provides the second run is the .ALTER statement. The third time, the program reads the input deck from the beginning up to the third .ALTER statement (or .END statement), and so on, until the .END statement is read. The new statements read after the .ALTER statement is encountered are appended to the input deck, or they modify the existing input deck. 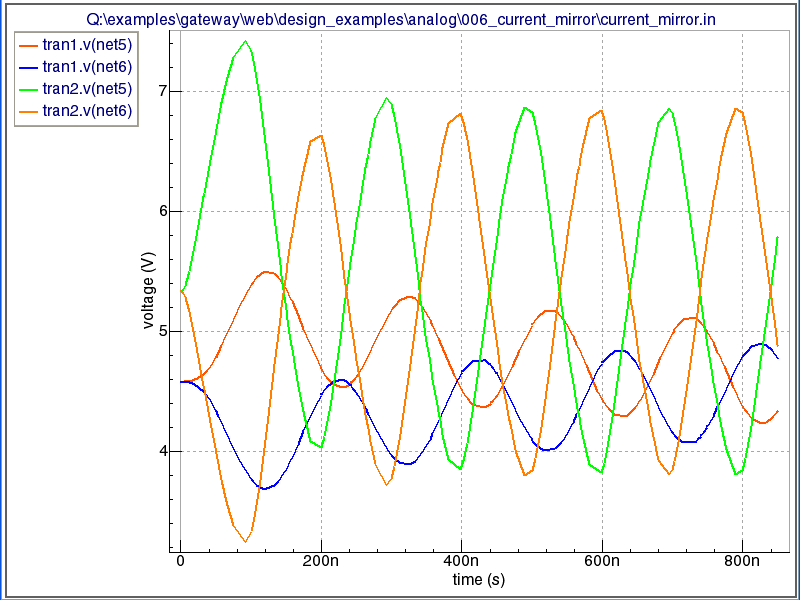 Running the simulation produces the transient_waveforms.png , AC_waveforms.png , and the DC_waveforms.png for the transient, AC, and DC runs. 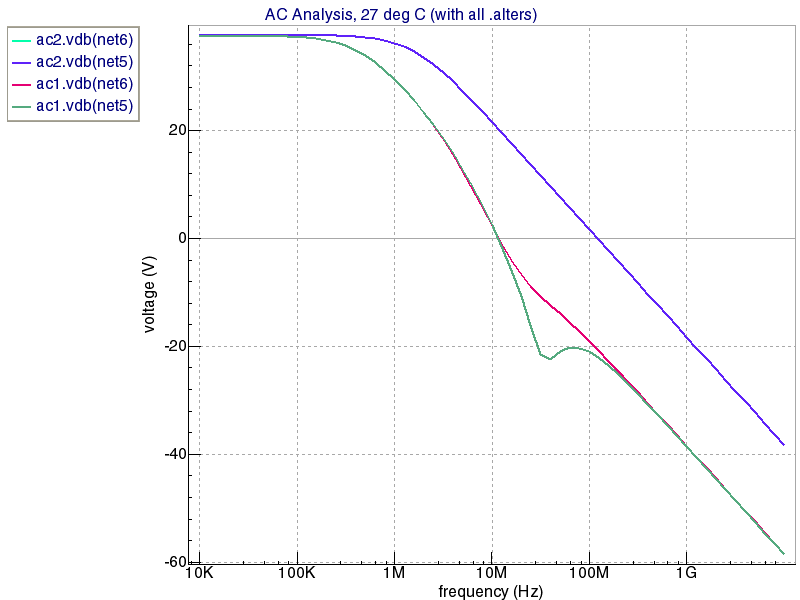 In these plots, tran1, ac1, and dc1 refer to the first simulation using the QNL model. Tran2, ac2, and dc2 refer to the default model which was used after the .ALTER statement for the second simulation. 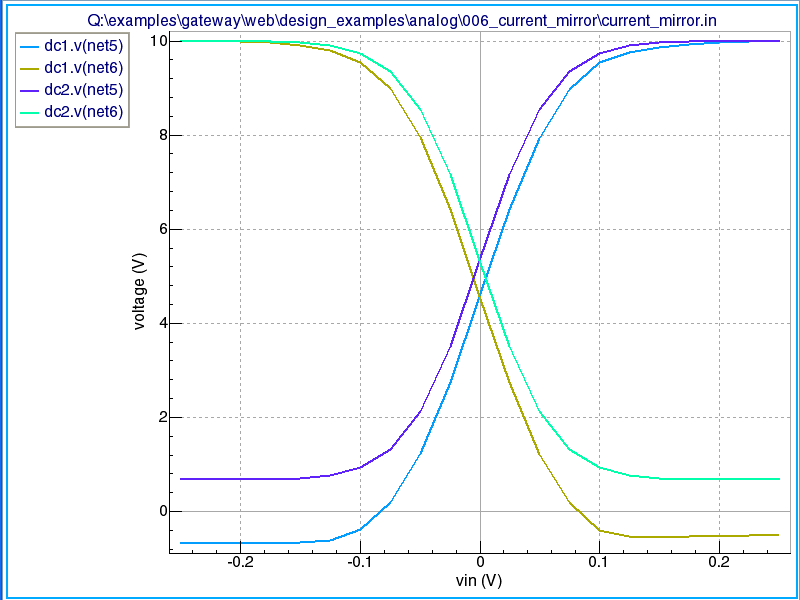 Clicking on the currents and voltages (V and I icons) as shown in dcbias.png , the collector currents and node voltages are equal on both sides of the mirror.